It’s our IN chair open day today: Your chance to see the new IN chair from Wilkhahn as well as drinks and nibbles. The weather is lousy so why not pop IN to see us? What else are you going to do? IN chair open day event from 10:30 Friday 30th September. 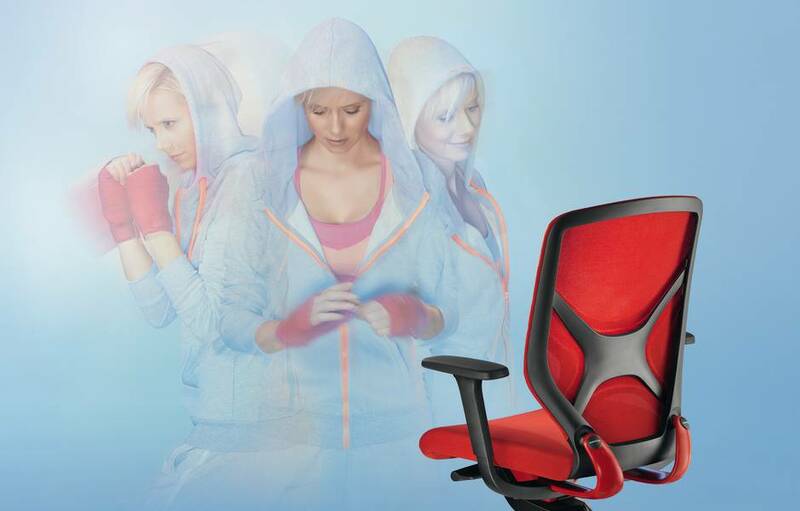 IN office chair – 3D seating at its best. Psychologists, physiotherapists and orthopaedists all agree that physical activity is vital if we want to stay fit and healthy. But it’s the whole of our body that’s important and not just our backs and joints. Taking enough exercise helps us to cope with stress, to feel happy and to make us more productive. Wilkhahn’s engineers and designers started with this premise and developed their patented 3D kinematics system called Trimension. Previously found on their executive ON chair, Wilkhahn have now developed the IN chair and made this ground breaking technology possible for the wider workplace environment. In this case, form and function are on an equal footing. IN’s athletic aesthetic is a perfection mix of ingenious design with first-class materials, appealing finishes and innovative manufacturing processes. The unitary seat and back construction has different levels of elasticity and is made in one piece using cutting-edge technology. It’s also connected with the swivel arms, both of which can be moved separately, via distinctive pivotal points. The backrest cover has been designed to match precisely. It’s made from especially developed 3D Formstrick, produced under computer-controlled conditions. Similarly to high-end trainers, the different thickness and zones aren’t just attractive, but also offer the body perfect support. Just take a seat, adjust the height and turn the knob in the middle to change the counter pressure. IN is available to try in our showroom now. Why not contact us to book an appointment? We’re sure you and IN will never want to part.